Last month, the Maryland Chapter of the International Association of Healthcare Security & Safety (IAHSS) partnered with Niagara University’s First Responder Disability Awareness Training to offer a free training to educate law enforcement and security officers on and sensitize them to proper responses to individuals with disabilities. This session was important in training security officials to recognize and understand behaviors that they might otherwise miscomprehend, and teach them how to best communicate with individuals with various disabilities. This kind of education better equips officers to handle situations and achieve positive outcomes. We sat down with Jeff Hagen, security manager at Sheppard Pratt Health System, to learn about why this training is so important. Tell us a little bit about the recent training held here at the Conference Center on Sheppard Pratt’s Towson campus. IAHSS’s mission is to provide continuous education, and we knew this topic was both needed and timely. With over 80 participants in this training session, we had a terrific response. Attendees came from local, state, and federal law enforcement and security agencies, including healthcare, higher education, and corporate security and police officers, county and city agencies, USPS, FBI, and NASA. It was refreshing to know that such a diverse and cross-sectional group charged with the difficult task of public safety is so focused on how to better serve, protect, and support the communities in which we live and work. Why is it important to have this kind of training for officers and first responders? We learned that 50-80% of officer interactions involve an individual with a disability, and since officers are usually the first to arrive to a scene, that makes the initial contact all the more important. During our training, we learned about different disabilities and the proper response to each; state and federal laws pertaining to disabilities; etiquette and interaction tips; tips for person-first language (naming the person, and not their condition or disability, first), and ways to overcome communication barriers; and the injustices those with disabilities face. Simple things we do to break down the barriers from the very beginning of an interaction to show empathy and sensitivity can result in a much more positive experience and outcome for those we work with. For instance, using that person-first language (we would say “Sally has autism,” not “Sally is autistic”) can make all the difference in an interaction. What was your biggest takeaway from the training? Just because someone may be in a wheelchair or have a disability, that doesn’t make them any less capable of a person. One of our most amazing and inspirational guest speakers was Linda Mastandrea. “Sitting in this wheelchair, would you know that I am an athlete, an attorney, and an author?” she began, immediately challenging our assumptions. This is a lesson that can and should be applied to any and all disabilities. What was the trainees’ biggest takeaway from the training? The biggest takeaway that I heard from the attendees was that “everyone needs more of this type of training, especially first responders.” In just a few hours, we learned about so many topics regarding disability awareness, including seizure first aid; proper care for those with traumatic brain injuries; facts about Tourette’s Syndrome; proper etiquette for working with those with visual or mobility impairments; and facts and myths about various disorders and diseases. We left the class knowing basic American Sign Language for the most commonly used law enforcement dialogue when communicating with people who are deaf or hard of hearing. When an officer or first responder demonstrates to an individual with a disability that they have taken a little time to understand their situation, it can instantly break down communication barriers, and will almost always result in a more positive outcome. What’s one thing you wish people knew about our team of safety officers? I am extremely proud of our team of security and special police officers here at Sheppard Pratt Health System. They respond to hundreds of calls each year, and always demonstrate incredible ability to de-escalate and resolve conflicts. 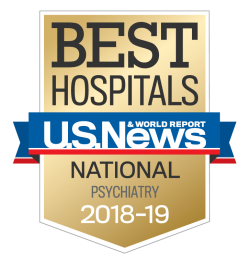 Their ability to respond effectively and professionally to a wide range of situations, while simultaneously being sensitive and compassionate to our staff and patient population, amazes me every day. I would like the community to remember that our officers provide so many invaluable – yet often invisible – support services to those we serve. Thanks for talking with us, Jeff! And thank you for the important work you and your team do every day.